Honey bees have been around for millions of years. Honey is the only food produced by an insect that is eaten by humans. Honey bees have 170 odorant receptors, compared with only 79 in mosquitoes and 62 in fruit flies. A honey bee’s wings stroke 200 times per second. Incredibly fast and that is where the buzz comes from. The average honey bee produces 1/12 of a teaspoon honey in its lifetime. As busy as a bee! On average a hive of bees will fly 90 thousand miles around 3 times around Earth to produce 1KG of honey. One ounce of honey fuels a bee’s flight around the world. Honey bees visit between 50 and 100 flowers on a collection trip. A bee’s brain is the size of sesame seed and yet it is able to make remarkable calculations on distances traveled. One colony of bees consists of 60 thousand honeybees and one queen. Larger than the normal worker honey bees, the male honey bees has no stinger and does no work at all. 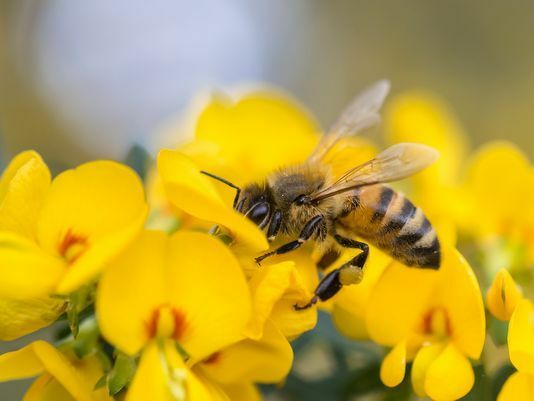 Each honey bee colony has a unique odor for members identification. Honey bees communicate with each other by dancing.